Bob is an award winning journalist and a familiar face for Central Florida veiwers. 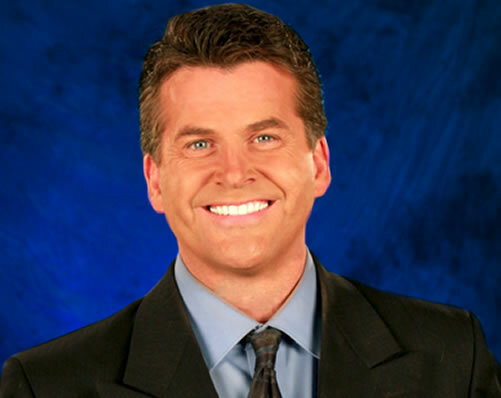 He comes to WOFL-FOX 35 after 8 years as the main anchor at the CBS affiliate in Orlando. He’s covered every major event in Florida over the last decade include the devastating hurricanes of 2004, the Shuttle Columbia disaster and the historic Presidential Election of 2008. He’s interviewed nearly every major player in local and statewide politics including Former Governor Jeb Bush in the days immediately following 9/11. Bob got his degree in Journalism from the University of Colorado. His career in broadcasting has taken him across the country. In Oklahoma City he covered an F-5 tornado as it tore through the heart of the city while at the same time pulling victims from the rubble. In Colorado Springs he interviewed the early designers of the International Space Station before the first segment even blasted off from the Cape. He’s also worked in small markets in California and Nebraska. Many Central Floridians know Bob from his work with so many local charities. He’s emceed nearly every major event in town including the Headdress Ball, the Red Chair event and the Don Quioxte awards. He serves on the board of the Canine Companinons for Independence and the Steinway Society of Central Florida. Bob’s first passion was music. He learned to play piano while taking advantage of a singing scholarship at the University of Colorado and has starred in dozens of musicals including Evita, Sweeney Todd, and Grand Hotel. These days Bob can be found playing keyboards in Simulcast – the rock band he formed with Mix 105.1 radio host Scott McKenzie of the Scott and Erica show. Simulcast has opened for Third Eye Blind, Five for Fighting, Collective Soul and Sara Bareilles. They can often be found on a saturday night at Dexters or Route 46 in Lake Mary or raising money at charity events around the city. Check them out on their Facebook or MySpace page. Bob married his beautiful wife Karen back in 1995. The Frier’s have two wonderful children. 10-year-old Lucie has helped raise money for Kids Beating Cancer by modeling in the American Girl Fashion show and 8-year-old Alden loves to play baseball, Nintendo and is a genius at Lego! With their dog Biscuit the Friers are thrilled to be able to continue making Central Florida home.